A vegan-friendly essential amino acid supplement, containing an optimal 2:1:1 ratio of leucine, isoleucine, and valine. These can’t be produced by your body so they must come from your diet, so we’ve created a cost-effective and convenient-to-take shake. BCAAs occur naturally in protein, which helps to build and repair new muscle1. This is really important whatever your fitness goals are — from crushing a cardio circuit to deadlifting more than ever before. 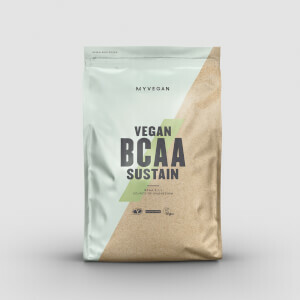 Our Vegan BCAAs are sourced from plant-based ingredients, using a special fermentation process, making it perfect for vegetarian and vegan diets. When to take Vegan BCAA Amino Acid? We recommend taking 5g 2-4 times a day for the best results — enjoying one of our range of fruity flavours, or simply adding an Unflavoured scoop to your favourite shake. What does Vegan BCAA Amino Acid work well with? 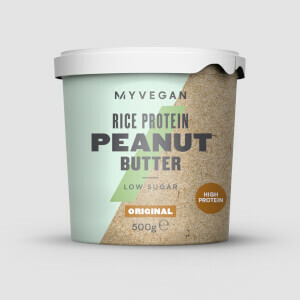 To get more plant-based goodness into your diet, add Vegan Protein Blend — powered with pea, rice and hemp, it’s packed with an impressive 22g of protein per serving, delivering the protein you need from high-quality sources. Unflavoured:Fermented Branched Chain Amino Acid Powder 2:1:1 (Leucine:Isoleucine:Valine) (100%). Berry Blast Flavour:Fermented Branched Chain Amino Acid Powder 2:1:1 (Leucine:Isoleucine:Valine) (84%), Flavouring, Acid (Citric Acid), Colour (Beetroot Red), Purple Carrot Extract, Sweetener (Sucralose). Tropical Storm Flavour:Fermented Branched Chain Amino Acid Powder 2:1:1 (Leucine:Isoleucine:Valine) (74%), Acid (Citric Acid), Colour (Carotenes), Flavouring, Sweetener (Sucralose). Lemon & Lime Flavour:Fermented Branched Chain Amino Acid Powder 2:1:1 (Leucine:Isoleucine:Valine) (90%), Natural Flavouring, Sweeteners (Sucralose, Acesulfame-K), Colours (Sunset Yellow FCF, Brilliant Blue FCF). Warning:Contains Sunset Yellow FCF which may have an adverse effect on activity and attention in children. Peach & Mango Flavour: Fermented Branched Chain Amino Acid Powder 2:1:1 (Leucine:Isoleucine:Valine) (93%), Sweeteners (Sucralose, Acesulfame-K), Flavouring, Colours (Tartrazine, Sunset Yellow FCF). Warning:Contains Sunset Yellow FCF and Tartrazine which may have an adverse effect on activity and attention in children. Watermelon Flavour:Fermented Branched Chain Amino Acid Powder 2:1:1 (Leucine:Isoleucine:Valine) (90%), Natural Flavouring, Sweeteners (Sucralose, Acesulfame-K), Colour (Allura Red AC). Warning:Contains Allura Red AC which may have an adverse effect on activity and attention in children. Smells delightful (Peach and mango), maybe a little too much sweetener to cover the bitterness. It does the job though, I feel fresher, DOMS are significantly less. I recommend watering it down a lot as it is really sweet. or just make it unbearably sweet with orange juice, but it's naturally sweeter and easier to shot or drink. I've been drinking it before/during a session and after (before Bed) and sometimes I start the day with it. It's great to drink whenever. Before bed I mix with HMB, Preworkout with Creatine. lots of water, or orange juice Before bed I mix with HMB, Preworkout with Creatine. I get the plain powder as I just mix it in with my protein, I got a taste of it once and it wasn't great, but that's to be expected and I have no gripes with that. With Soya Protein it tastes fine, no issues at all. Next time I get this it will be flavoured. 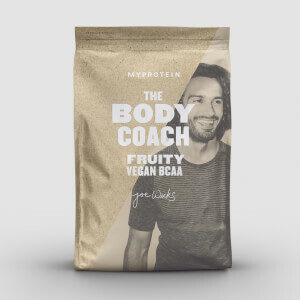 After first ordering the standard BCAA and then finding it wasn't Vegan friendly, I also read that the fermented BCAA were considered more effective so paid a little extra for this version. I've noticed benefits right from the first week I started adding this to my pre / post workout drinks. It really seems to aid recovery and gives me a boost while training (I also take two scoops while training) The taste and smell are not too nice, a very pungent yeasty smell and sour taste. I've found adding some blackcurrant squash masks it perfectly well and then it's very drinkable. Mixes well enough in water / juice so no problems there, although it does tend to foam up a bit. Not entirely sure how much it aids muscle growth but I've seen a difference since I started taking it over the last few weeks. I've already ordered again and will continue to use this as the basis for my workout supplements. I received my BCAA today! It smelt awful, and I was dreading mixing it with my water. But it tastes fine. Phew!!!! It mixed well- I just left it in my bottle for about 20 minutes. Can’t comment on its effectiveness just yet! Taste: I would recommend not mixing this with just water, nor just your favourite fruit juice unless your fruit juice packs a powerful punch. I chose 'Unflavoured' as I intended to add this to my homemade vegan shake of oats, water, banana, apple, raisins, ginger, peanut butter, and blackstrap molasses, which just about masks the dog-breath bitter smell and flavour of these fermented beauties. I have no idea what the flavoured versions taste like, but I am not sure I would trust anything that has to cover up that revolting taste, aside from my own added ingredients. Mixability: It floats on water/juice and does not disperse with a vigorous stir with a spoon. But with my smoothie ingredients listed above and a hand-held blender, it mixes in just fine. Unable to comment on how effective the product is until further down the line, but all vegan nutrition is hopefully constructive. I have only heard good things about BCAAs, so assume they are effective in muscle repair and cell function. got the watermelon flavour and it tastes literally like watermelon its so nice,i drink it before during and after my workout,helps with doms and energy!mixing it in the beginning it doesn't dissolve well but give it 5 mins and its pretty much gone! Anything at all! Great daily drink to keep you hydrated in and out of the gym. This powder is great for vegans and vegeterians in need of their BCAAs! 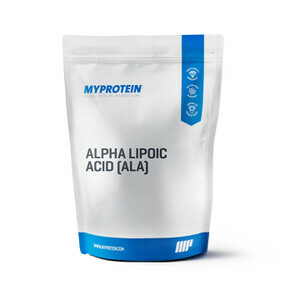 It's tastes great and mixes well and contributes to muscle protein synthesis and increased muscle growth over time! It's great to drink during your workout and It has given more energy during my workouts! Great product worth trying! Mixes well and does the job, but tastes awful! I bought the blue raspberry - I expected the artificial-ness, but this doesn't really taste like blue raspberry, I'd say closer to bubblegum which I am not a fan of. I have to mix with strong squash to be able to drink it. Also has a bitter after taste. Wouldn't choose this flavour again! JFC - this stuff has a STRONG taste. I got blue raspberry because it has natural colouring, but it is incredibly blue and incredibly sweet. I don't know if any of the other flavours are less overpowering, but I struggle to get 1 scoop (half serving) down even mixed into a litre of water.